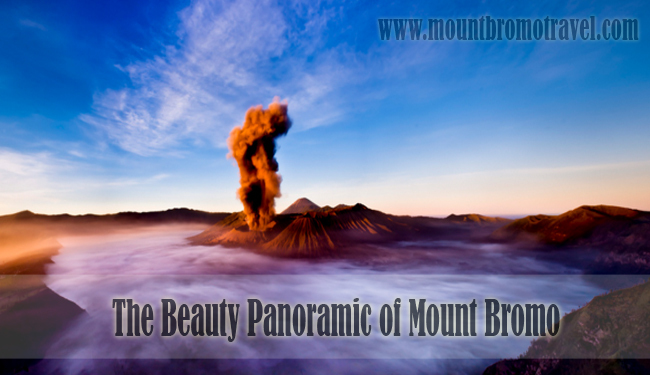 The beauty panoramic of mount Bromo has famous for long time in worldwide. Bromo is part of Bromo Tengger Semeru National Park. This place famous because the caldera or crater sands sea and the catchiest view is Bromo Sunrise Tour. Mount Bromo perhaps is the Java active volcano that most accessible and with that reason, there is a lot of domestic tourist often in package group. It is also popular for groups to camp in this area. Therefore, for tourist those appreciate for quite it is recommended to visit the park avoiding the major domestic holiday time. The beauty panoramic of mount Bromo is famous for the caldera or crater sea sand. It is exotic especially when you go with morning trekking to enjoy the sunrise that famous with Bromo Sunrise tour. Visiting Mount Bromo is special especially with the vast sea sand about 10km around the crater Bromo that emit the white smoke. Bear in mind that sunrise is correspondingly early at 05;30 it means that you need to get up at least 03;30 to get viewpoint in time to dawn. It will very crowd so it is recommended to get early as soon as possible to get good spot especially in front of the fence. From Village of Cemoro Lawang, you are able to easily hike up to Mt. Bromo and Mount Penanjakan. The edges from Mount Bromo are tinged with always bubbling sulfur. There are several ways for getting the best beauty panoramic of mount bromo. Take a walk to Mount Bromo Crater start from Cemoro Lawang only takes 45 minutes. It is a path that immediately right from Cemoro Indah Hotel that leads further to the sea sand. There is no ticket point in this area. The Most photographed view from Mount Bomo is the surrounded Sea Sand and serene neighbor to Mount Batok and the Maha Meru Mount as its Southern backdrop. Mount Batok is located in north center from caldera. It is no longer active. Due to the activity of the volcano, some tourist at certain times is very limited concern to the safety. It is mainly when the eruptive activity and prevailing alert status permits to reach by foot for visit the caldera. Stay healthy and stay safe when you enjoy The beauty panoramic of mount Bromo.